This 7,400 sf property is near the Central Business District and offers easy access to Rt. 81 and Rt. 690, and exposure to Rt. 690 traffic. Other features include on and off-site parking, one (1) dock, and 23\' ceilings. 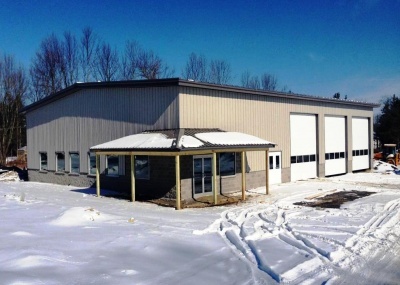 This is a newly constructed 8,000 sf warehouse/industrial building with a 20ft clear space ceiling, 6 inch concrete floors in warehouse, in-floor heating throughout building, four 16x16 drive-in garage doors, and some outdoor storage area. Property spans 7 acres from Brewerton Rd (Rt 11) to I-81, with signage visible from both roadways. Loading docks are a possibility if required. Approximately 2. This building includes 12,100sf of available warehouse space and 2,111sf of available office space. The location offers excellent exposure from I-690 and close proximity to NYS Thruway I-90.